A Sleep Study, or a Polysomnography (PSG), is a test conducted to diagnose sleep disorders. In polysomnography, tests record your brain waves, the oxygen levels in your blood, your heart rate and your breathing. Also monitored are your eye and leg movements. Why conduct a Sleep Study? A Sleep Study is used to identify the presence and the extent of sleep disorders. It also can be used to help adjust and prescribe a treatment plan, if necessary. Your sleep stages and cycles will be closely monitored to identify if or when your sleep patterns are disrupted and why. Sleep Apnea or other sleep-related breathing disorders: Occur when your breathing stops repeatedly causing mild to severe disruption in your sleep. Periodic Limb Movement Disorder: Patient involuntarily flexes and extends the legs during sleep. This condition is sometimes associated with restless leg syndrome. Narcolepsy: An overwhelming amount of daytime drowsiness and sudden attacks of sleepiness during the day. Idiopathic Hypersomnia is often associated with narcolepsy and is often considered a more severe form of the latter. REM Sleep Behavior Disorder: This disorder causes you to act out dreams as you sleep. Unexplained chronic insomnia: Consistent problems falling or staying asleep. Other unusual behaviors during sleep: Walking, moving, and other rhythmic, yet unexplained movements. There are two common types of Sleep Study—Nocturnal Polysomnography (or PSG) and a Home Sleep Test. PSG is typically conducted and monitored in a hospital or a sleep center, while a Home Sleep Test is conducted at home. Diagnosing sleep disorders involves understanding what a healthy sleep pattern is. The normal process of falling asleep begins with the first stage, which is the non-rapid eye movement (NREM) sleep. During a sleep study, your brain waves will be recorded by electroencephalography (EEG), and during this stage, your EEG slows down considerably. In NREM, your eyes don't move back and forth rapidly, which is in contrast to later stages of sleep. After 1-2 hours of NREM sleep, your brain activity begins to pick up again, and rapid eye movement (REM) sleep begins. Most dreaming occurs in the REM stage of your sleep. Typically, you go through 4-6 sleep cycles a night, sequencing between NREM and REM sleep about every 90 minutes. Your REM stage usually lengthens with each cycle as the night progresses. Sleep disorders can disturb this rhythmic sleep process, which is necessary for a healthy and refreshing sleep. Another important objective of the PSG is finding the Respiratory Disturbance Index (RDI), which is the number of apneas or hypopneas lasting 10 seconds or more for every hour of sleep. Apnea is the suspension of external breathing caused by a complete obstruction of the airway. Hypopnea is a less severe version of apnea where there is overly shallow breathing or an abnormally low respiratory rate. A patient with an RDI 5 or less is considered a simple snorer with no Obstructive Sleep Apnea (OSA). An RDI of 16-30 indicates moderate OSA and more than 30 suggests severe OSA. Nocturnal Polysomnography (or PSG) is common and the most accurate way to test and consequently identify sleep disorders. It is done usually in hospitals or sleep centers. Normally, the patient will be asked to arrive in the evening so that the center can record and monitor his/her nighttime sleep patterns. Sometimes, PSG is done during the day to accommodate shift workers who are more accustomed to sleep during the day. At this time, there will be equipment that typically monitors breathing patterns, lung, heart and brain activity, arm and leg movement, and blood oxygen levels. Polysomnography is a non-invasive, painless procedure and complications are rare. The most common side effect is mild skin irritation caused by an adhesive used to attach test sensors onto the skin. Napping in the afternoon before the sleep study is discouraged. Your doctor may also ask you not to drink any alcohol, or eat or drink anything with caffeine during the afternoon and evening before the sleep study. This is because alcohol and caffeine can change your sleep patterns; they may worsen the symptoms of certain sleep disorders and disrupt the sleep study. What can I expect in my PSG? After a scheduling for your PSG, you will arrive at the sleep center in the evening and stay overnight. You will be allowed to bring items that you use for your bedtime routine. You can sleep in your own normal nightclothes. If the patient is a child, parents usually are required to spend the night with their child during his/her PSG. The room where the PSG is done will be similar to a hotel room, and it will be dark and quiet so as to be conducive to sleep. The temperature can be adjusted to your liking. You will not be sharing the room with anyone, and your room will have its own bathroom. There will be a polysomnography technologist assisting you throughout the study, as well as a professional collecting all the relevant information for your accurate diagnosis. The room will have a video camera so that the polysomnography technologists monitoring you can observe you and your movement, even after the lights are out. It will also have a speaker system, where they can talk to you, as well as hear you from their monitoring area outside your room. After you are set for bed, sensors called electrodes will be placed on your scalp, temples, chest and legs and will be attached to you using a mild adhesive. These sensors are connected by wires to a computer, they will be bundled, thin, and long enough to let you move normally in bed. A small clip will be placed on your finger or ear to monitor oxygen levels in your blood. Elastic belts may also be placed around your chest and belly to measure your inhaled and exhaled breaths. During your sleep, the technologist will monitor your brain waves, eye movements, heart rate, breathing pattern, blood oxygen levels, body positioning and movement, snoring and other noises that you may make as you sleep. All of these measurements will be recorded on a graph. In case you need assistance, you can easily talk to them through the monitoring equipment. If you need to get up, they can come to detach the wires. During the study, the technologist may have you use a Positive Airway Pressure (PAP) machine if you have signs of sleep apnea. A PAP machine is a mask device that provides respiratory ventilation up to the correct oxygen levels through a mouth or nosepiece where a gentle stream of air is delivered to help in cases of breathing difficulties. In cases of sleep apnea, you may have a split-night study where the first half of the night, the technologist records your sleep patterns. During the second half of the night, your technologist may wake you to put on a PAP machine. Your technologist will check how you sleep with the PAP machine and can adjust the flow of air to find the setting that’s right for you to help sustain and increase your breathing. It’s possible you won't fall asleep easily or sleep as well as usual, but this usually won’t affect the test results. A full night's sleep isn't required to obtain accurate PSG results. In the morning, the sensors will be removed, and you may leave the sleep center. You will be given an appointment for a follow-up visit with your doctor and you can resume your normal routine after the test. The measurements recorded during the PSG will provide a great deal of information about your sleep patterns and the presence and extent of sleep disorders. These include your brain waves, leg and eye movements, and other unusual behaviors during your sleep. Also, the PSG will identify the presence of any interruptions between your NREM and REM sleep cycles and their causes. Heart and breathing rate, as well as changes in blood oxygen levels, will also be measured to verify whether or not they’re in the normal range. Your doctor may prescribe a Positive Airway Pressure (PAP) machine for home use. All the information gathered during PSG is evaluated by the technologist who uses this to chart your sleep cycles and stages. That information is then reviewed by your sleep doctor. It may take up to 2 weeks to receive your PSG results. At your follow-up appointment, your doctor will discuss the results with you and recommend further evaluation and any appropriate treatment. A typical PSG would be like those described above. However, sleep technologists have developed other ways to conduct a PSG test, such as Multiple Sleep Latency Test (MSLT), and Maintenance of Wakefulness Test (MWT), and these are usually done at a sleep center, as well. The MSLT is a daytime sleep study that's typically done after a PSG. This test involves additional sleep studies to determine any other disorder associated with the results of the initial PSG and will normally take up the entire day. The objective of the MSLT is to identify how long it takes you to fall asleep, and your breathing is usually monitored. Initially, it will involve sensors placed on the scalp, face, and chin that will record brain activity and eye movement to show various stages of sleep. Similar to a typical PSG, a technologist is in another room monitoring the findings while you sleep. About 2 hours after waking up, you will be asked to relax and try to fall asleep again. This test will be repeated 4 or 5 times throughout the day. 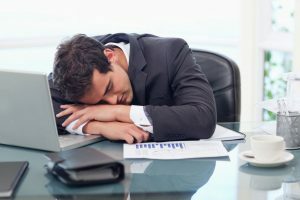 This is because your ability to fall asleep changes throughout the day, and the technologist will be recording any relevant data, such as your NREM and REM cycles and the sequencing and disruptions between the two, if any. You will have 2-hour breaks between the tests, during which you need to stay awake. The MWT sleep study is usually done the day after a PSG and will take up most of the day. Sensors will be placed on your scalp, face, and chin to measure when you're awake and asleep. You will sit quietly and comfortably and will be asked to look straight ahead. Then, you simply try to stay awake for a period of time. An MWT will typically include 4 trials,and each will last about 40 minutes. In the event you fall asleep, the technologist will wake you up after about 90 seconds. There usually are 2-hour breaks between tests, and during these breaks, you will need to stay awake. If your job requires a drug screening (e.g. transportation or safety related jobs), you may need a drug-screening test before an MWT. In contrast to a PSG, a Home Sleep Test is a type of sleep study that is conducted at home. You will be using portable monitoring devices to measure heart rate, blood oxygen level and breathing patterns. What can I expect in the Home Sleep Test? If you're having a Home Sleep Test, you'll need to set up the home-based portable monitors before you go to sleep. You will need to pick up the equipment at the sleep center or your doctor's office, and you must be trained and directed by someone who will show you how to use the equipment. In some cases, a technician may come to your home to help you prepare for the Home Sleep Test. In a Home Sleep Test, you don’t have to go to a sleep center and spend the night. You will be given an actigraph to monitor and gather information while you sleep. An actigraph is a small device usually worn like a wristwatch that you can wear before, during and after your sleep and during your normal everyday routine. It must be removed while bathing or swimming. The actigraph will measure your sleep–wake behavior over a period of 3 to 14 days and nights. The information gathered will give your doctor a better idea about your sleeping patterns and habits, such as when you sleep or nap, and whether or not the lights are on while you sleep. Your doctor may also ask you to keep a sleep diary during the time you wear the actigraph. Whether you should have PSG conducted in a sleep center or at home with a Home Sleep Test largely depends on your condition, level of sleep difficulty and disruptions, and the recommendation of your sleep doctor. Nonetheless, over the past few years, Home Sleep Tests have emerged as a popular option for patients who want to avoid an overnight's stay at a sleep center. Likewise, insurance providers often urge patients to have unattended home sleep studies indicating that these are more cost efficient. It is essential to understand the difference between a sleep study conducted at home versus a PSG conducted in a sleep center because they have varying degrees of performance and function. Knowing which method could gather more accurate information can give your sleep doctor a better diagnosis, and can give better understanding on the best care for the patient. In the practice of medicine, an accurate diagnosis is essential for the right and best form of treatment. Is a Home Sleep Test as accurate as PSG in sleep centers? No. Recent studies and general clinical practices have concluded that while Home Sleep Tests gather relevant data on sleep disorders, the range of information and the degree of severity in certain symptoms cannot be monitored with the same level of accuracy as a PSG conducted in a sleep center. 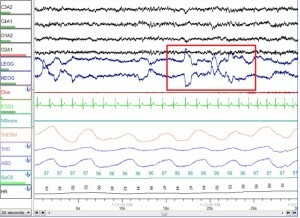 Over years of comparison, it is not uncommon to discover other sleep issues during a PSG that are normally missed at a Home Sleep Study. Examples of which are bruxism, parasomnias such as REM sleep behavior disorder, periodic limb movements of sleep, and abnormal brain waves indicating nocturnal seizures. Other factors cannot be recorded by the limited means of a Home Sleep Study such as movement of all limbs, body position, respiratory efforts and airflow, blood oxygen levels and the Respiratory Disturbance Index (RDI), meaning that very subtle breathing irregularities and sequencing of NREM and REM between minor and moderate sleep apnea are often missed. Without the monitoring of PSG technologists, a machine could be detached or be turned off by accident, again limiting the recording of information. Unfortunately, this is common and when a patient is left unattended, the collection of information is limited or not collected at all. Thus, the accuracy of the diagnosis is often unfavorably affected when it shows faulty results or no results at all. Technical failures occur in as much as 20% of the home sleep tests. This is probably the most significant disadvantage of conducting them and means that significant symptoms of disorders may be missed. Finally, patients often make incorrect estimations on certain details that sleep technologists will not, such as the exact time of sleep and how long they slept in total. In a sleep center, the technologists can also monitor the patient to ensure the integrity of the recordings, as well as make necessary changes in airflow of PAP masks, if necessary, to accurately test the severity of any sleep apnea present. These factors—incomplete measurements and patient errors and miscalculations—are major areas of concern for sleep technologists and sleep doctors. Is a Home Sleep Test as cost efficient as PSG in sleep centers? No. While a Home Sleep Test initially appears to be more cost efficient, in the long run, studies reveal that a PSG conducted in a sleep center is actually more cost efficient. This is because in instances of failure in a Home Sleep Test, a repeat study will be necessary. A full night PSG in a sleep center is highly favored due to “superior diagnostic accuracy” and limits a false positive or false negative diagnosis that may result in unnecessary therapies or latent risks that could remain untreated. It is important to note that a PSG in a sleep center is strongly recommended for patients who have congestive heart failure, a pulmonary disease or a neuromuscular disease, or another suspected sleep disorder, such as narcolepsy, insomnia, limb movement disorder or upper airway resistance syndrome (UARS), a lesser known form of sleep apnea. In some cases, a Home Sleep Study is appropriate, such as when you suspect a specific disorder and you have no other complaints suggesting another sleep issue. However, if the Home Sleep Study does not find any unusual recordings and you still suffer from unrefreshing sleep and fatigue, a PSG in a sleep center might still be necessary to rule out other reasons for sleep difficulty and disorders. It is important to note that a Home Sleep Study does cost less and is warranted in instances when patients are ill and unable to travel to a sleep lab. In cases where a sleep center is not located close enough to where a patient resides, and the only concern is obstructive sleep apnea, a Home Sleep Study may also be an option. While Home Sleep Tests do have some advantages and appropriate uses, universally, studies show PSG tests in sleep centers are more accurate and more convenient and cost efficient for patients in the long run. The conditions and symptoms which the patient is experiencing should ultimately determine whether or not a Home Sleep Test is appropriate at all. If you find yourself regularly suffering from daytime drowsiness or struggle with feeling exhausted when you wake up, a sleep study may be appropriate for you. Your primary care physician may also refer you to our center; due to the nature of some symptoms you may be experiencing. If you are concerned about your sleep behaviors or those of your child and would like an appointment with one of our physicians at Fort Worth ENT & Sinus, please complete an online appointment request or phone 817-332-8848.